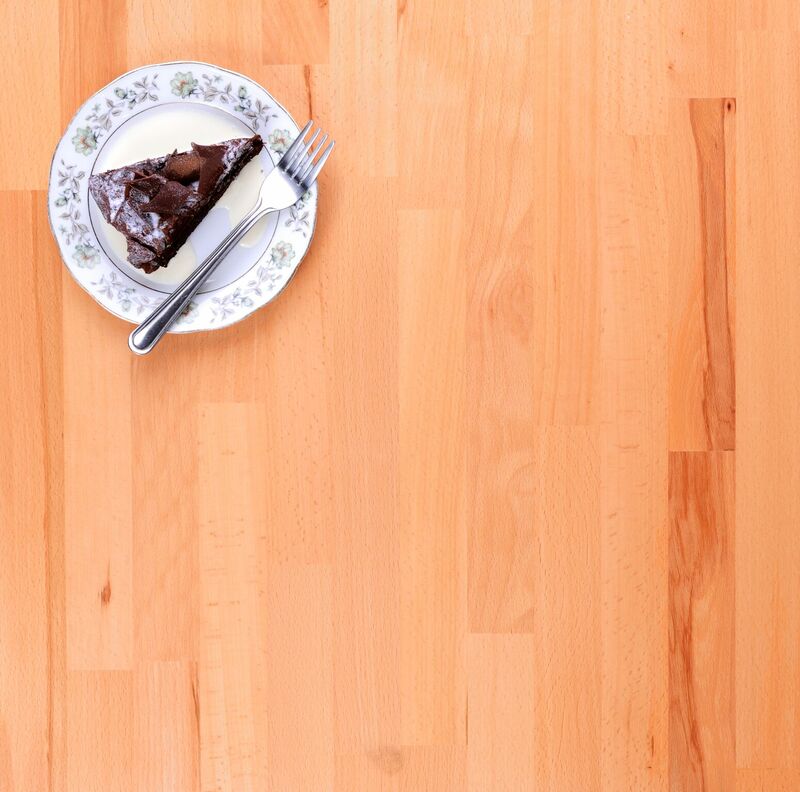 If you are looking for a lighter alternative to oak, why not consider an ash worktop? 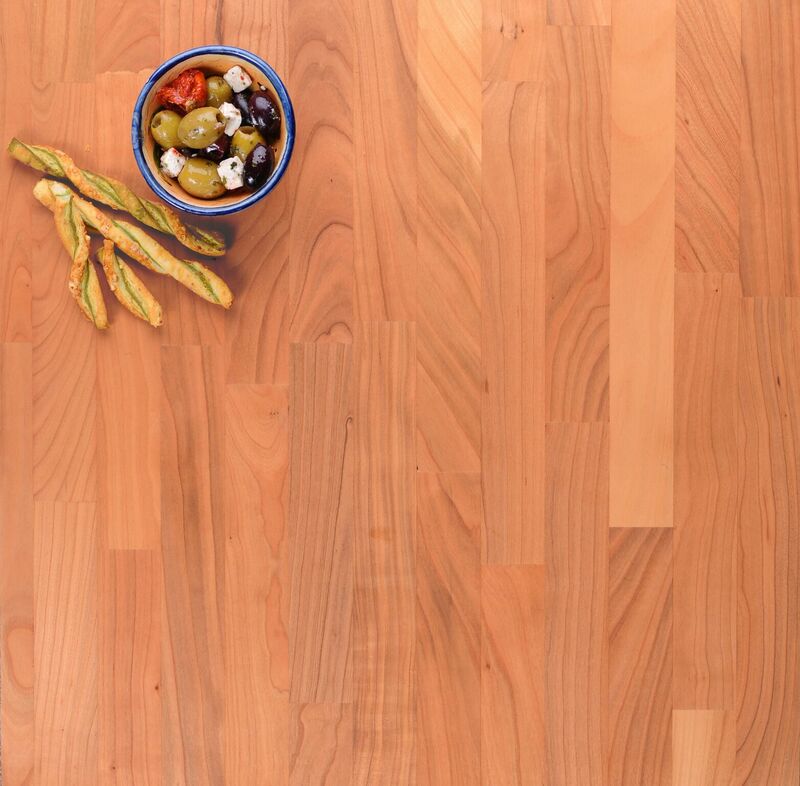 This European timber has a prominent grain pattern and is incredibly hard-wearing, too. 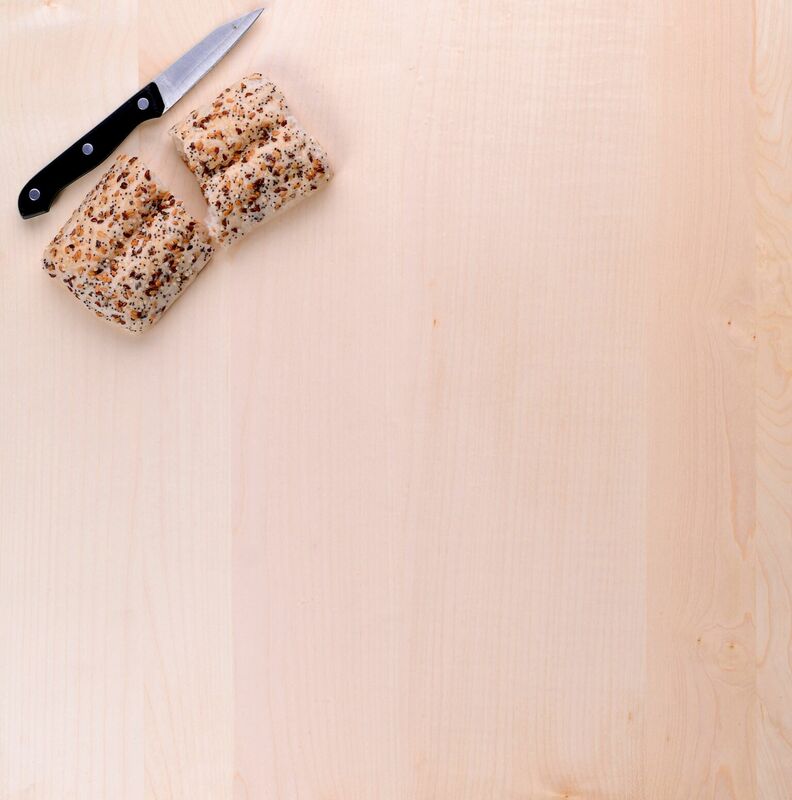 A variety of 40mm staves are finger-jointed together to make each square-edged worktop, after which they are sanded to create a very smooth surface that is ready to be treated. 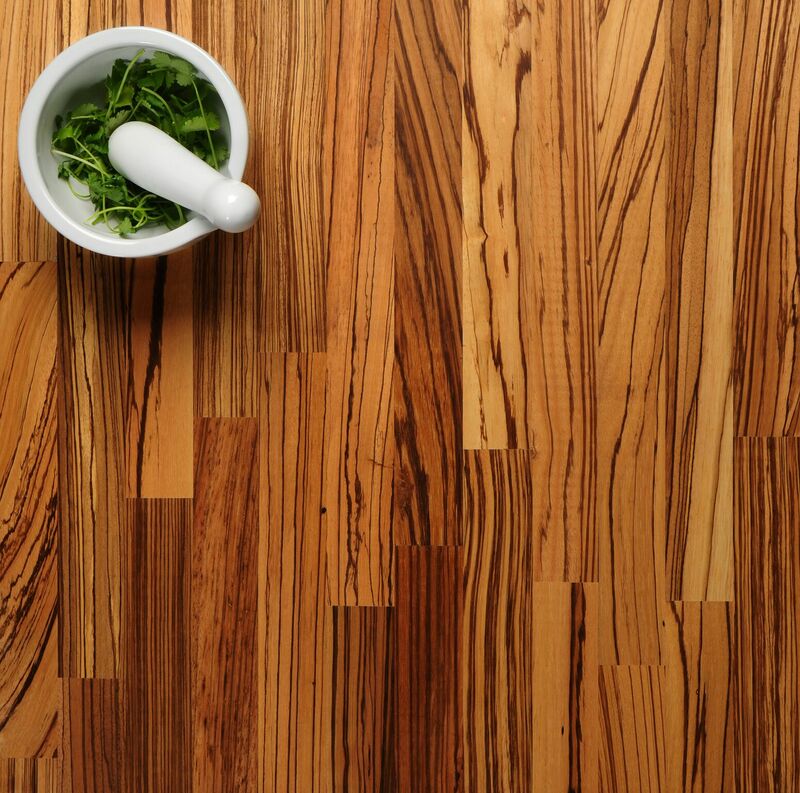 Ash timber is a lighter alternative to oak that features a striking, linear grain. 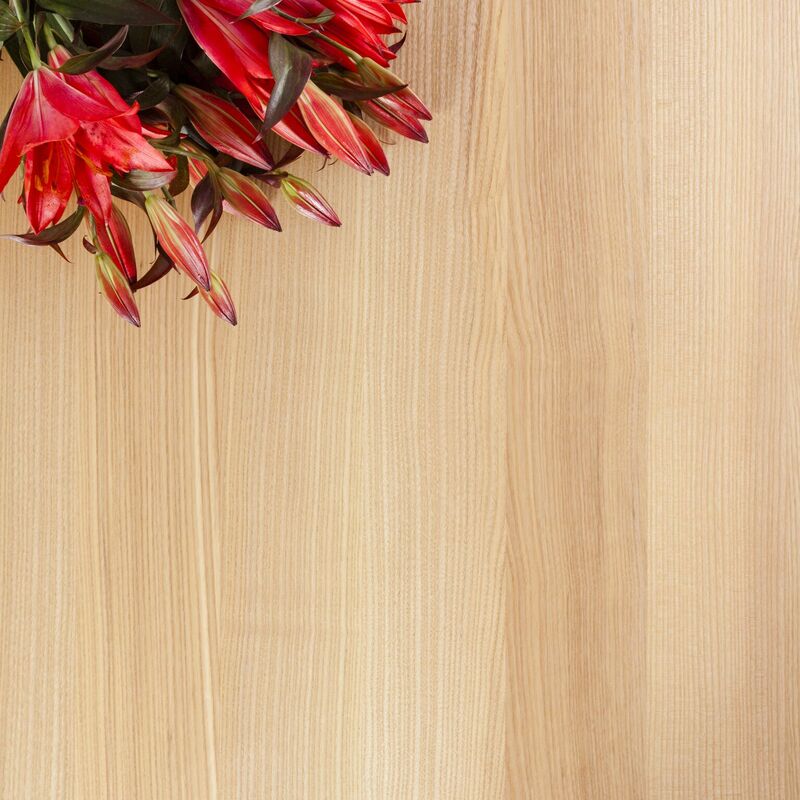 In this full stave variant, 90mm wide staves run the entire length of the worktop to show off even more of the timber’s elegant natural beauty. 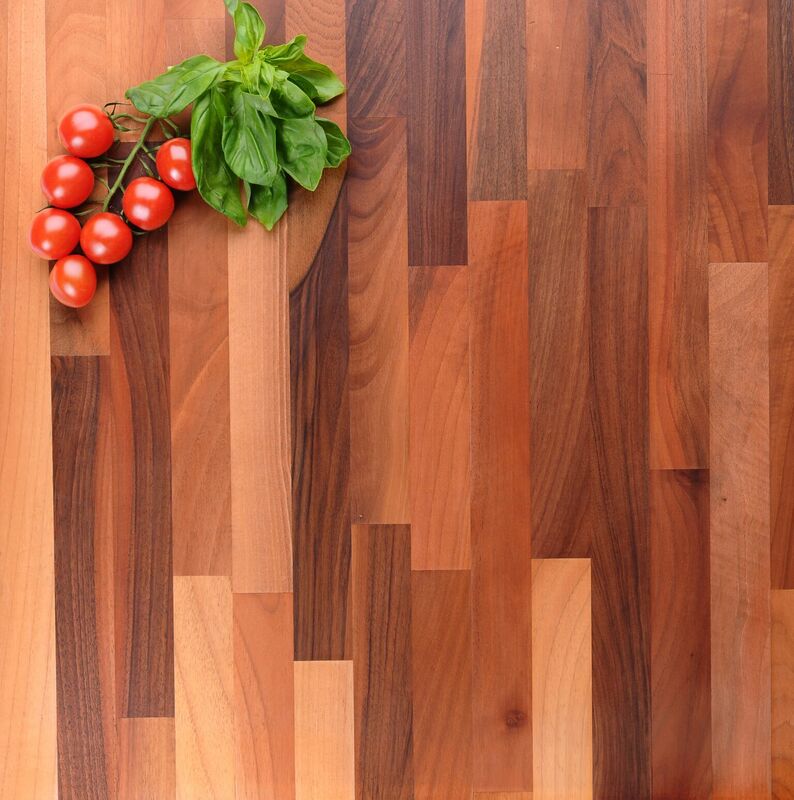 Each full stave worktop is finished with square edges and sanded to a smooth finish, needing only oil or another alternative treatment before use. 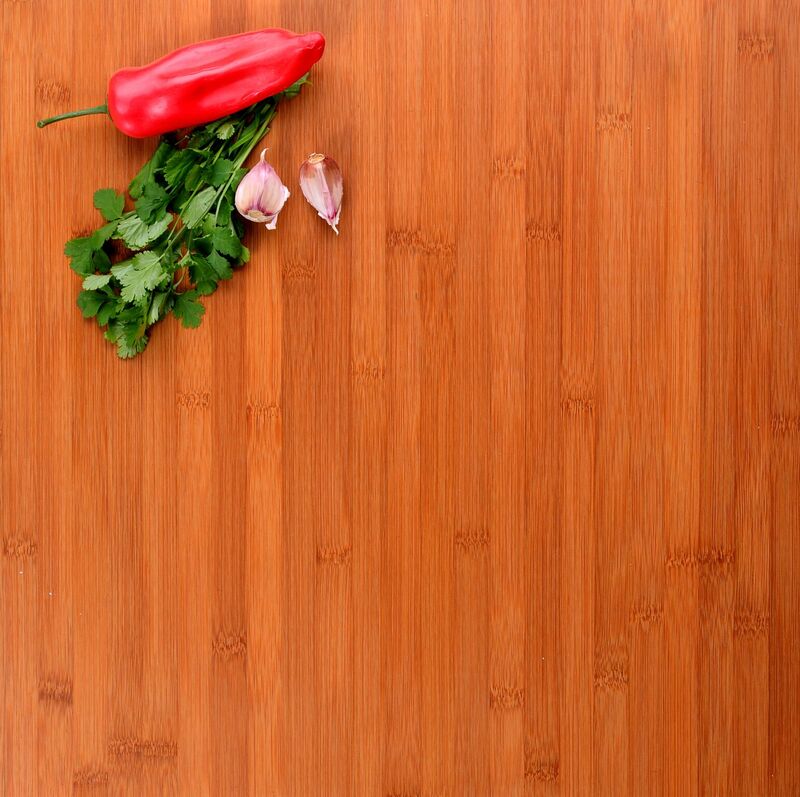 These caramel bamboo worktops are incredibly sustainable choice, and are ideal for bringing warmth to modern kitchens. Each 20mm stave undergoes a special heat treatment which allows the natural sugars to caramelise the timber, giving it a more golden hue in the process. Many of the staves are then sandwiched together to create a hard-wearing and incredibly unique kitchen surface. 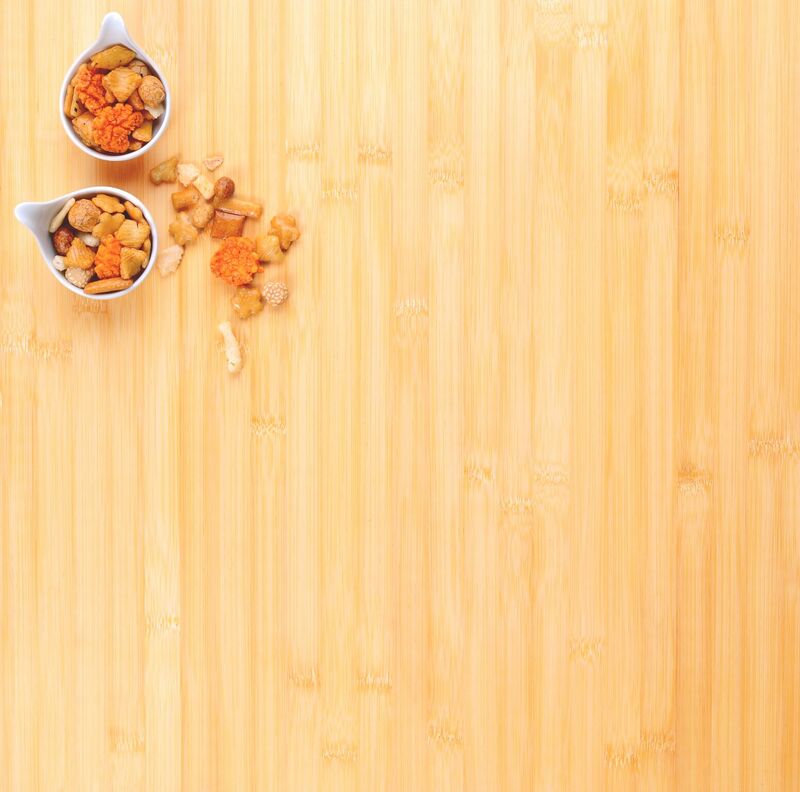 Bamboo worktops are naturally hygienic and the perfect choice for creating a sustainable surface in kitchens, offices and anywhere else around the home. 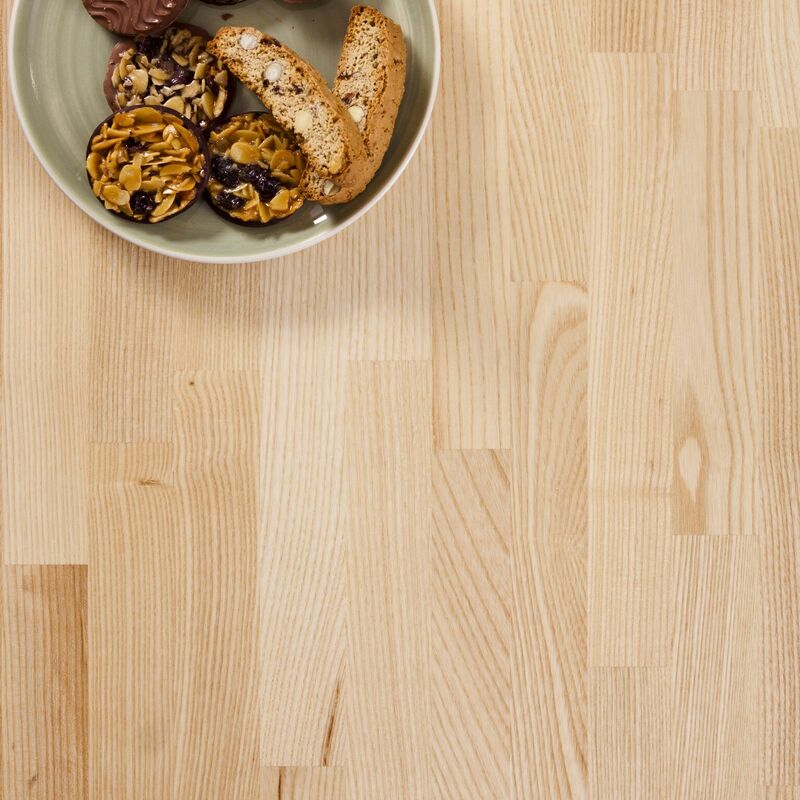 These bamboo surfaces are made from a large number of 20mm staves that are sandwiched together to create an expansive sheet of hard-wearing material, which is then carefully sanded to create a smooth worktop. 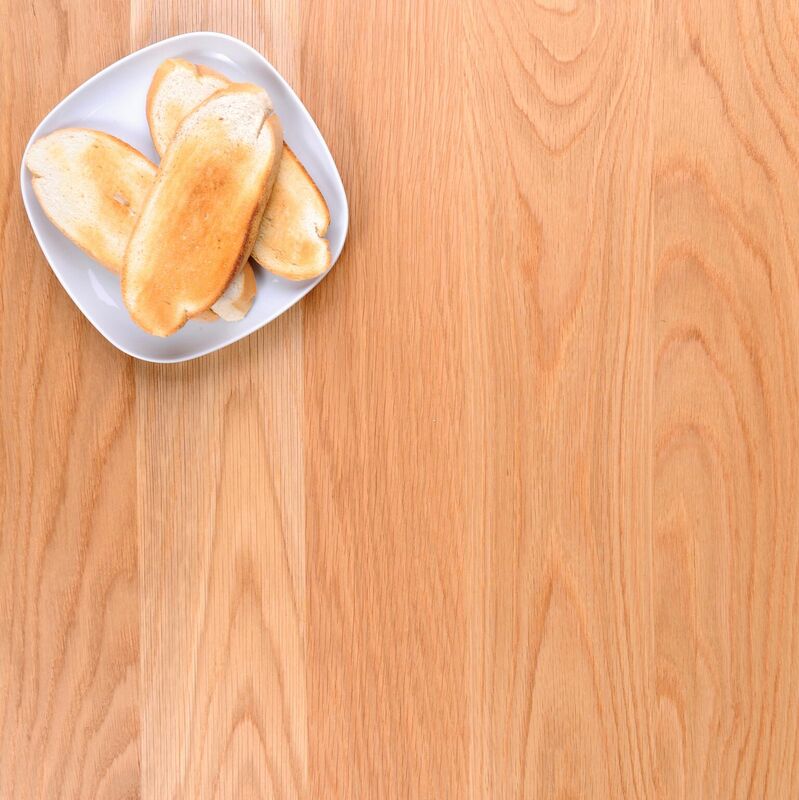 If you interested in a beech worktop but would like a surface that is more consistent in colour and appearance than standard beech worktops, then why not consider these Prime Beech worktops? Each surface is made from 40mm wide staves that are finger-jointed together and sanded to create a very smooth square-edged worktop. Beech worktops are soft in hue with a prominent linear grain pattern –a characterful and affordable choice for classic kitchens. Each beech surface is made up from a variety of 40mm staves that are finger-jointed, then glued under high pressure to create a hard-wearing surface. 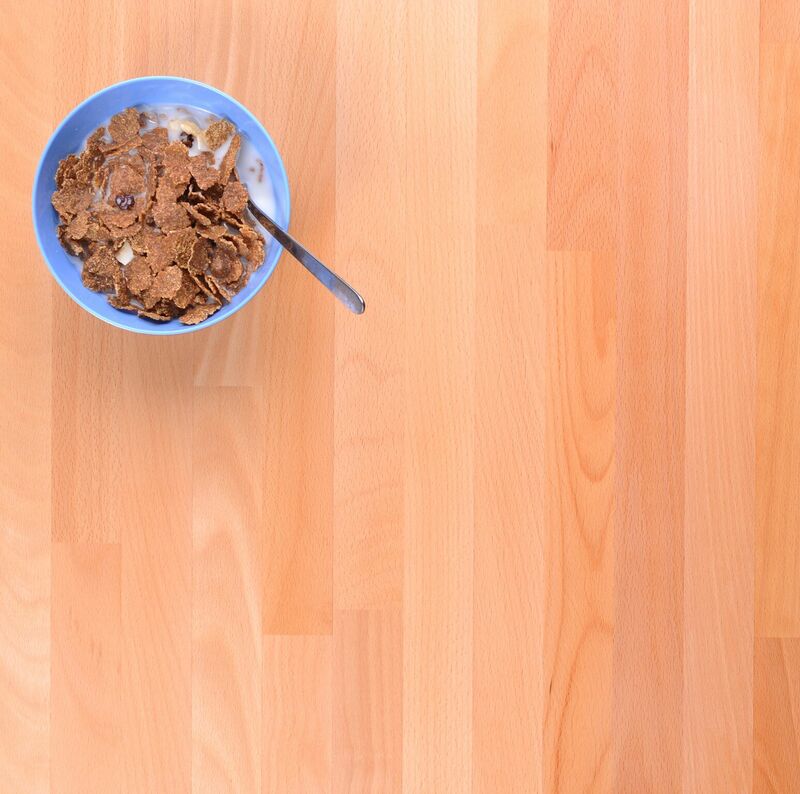 After construction is complete, each worktop is sanded to a consistently smooth finish. 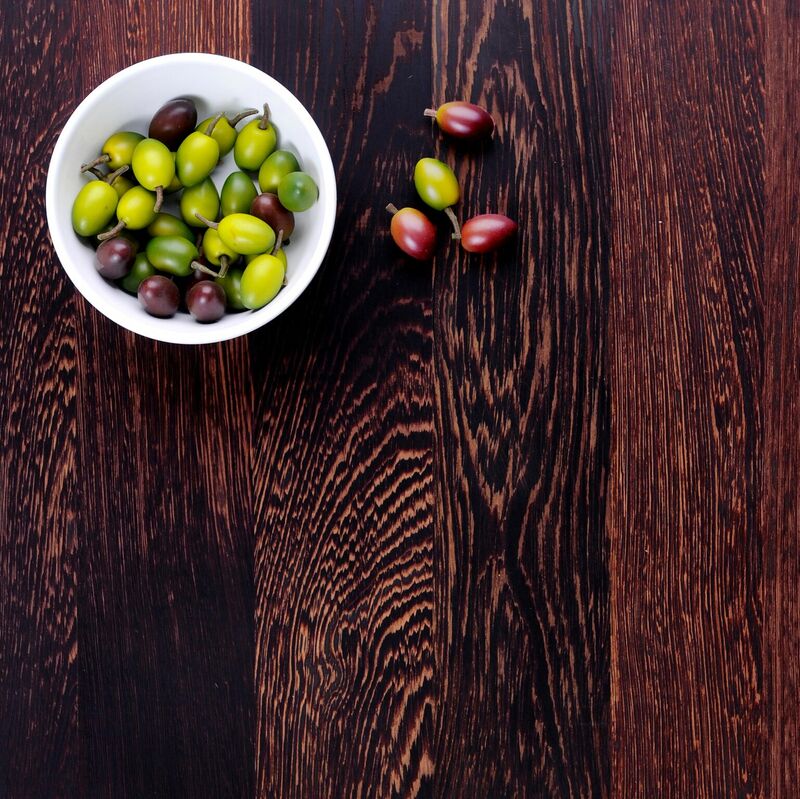 If you are looking for a dark kitchen surface that’s also made from a readily-available, European timber, consider these Black Oak worktops. Selected 40mm oak staves are subjected to a specialist treatment that turns them from a natural golden colour into a stunning dark black. The staves are then finger-jointed together to create a larger surface that’s sanded to a fine finish and cut into a variety of worktop sizes. These cherry worktops have a beautiful colour and delicate grain, making them an ideal alternative to oak or maple in classic kitchens. Like our other timber worktops, these are constructed from 40mm finger-jointed staves that are glued under high pressure and sanded to a very smooth finish, ready to be treated with a Danish oil. Iroko worktops have an incredibly warm colour and unique sheen – qualities that are only accentuated in this full stave variant. 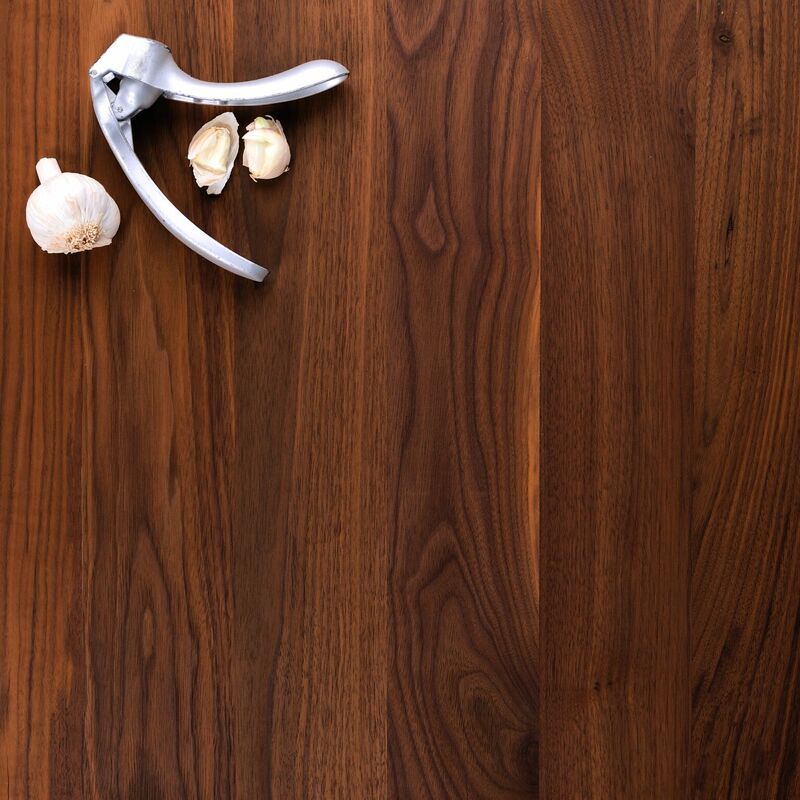 This option features 90mm wide staves that stretch the entire length of the worktop, which is supplied with square edges and sanded to a very fine finish. 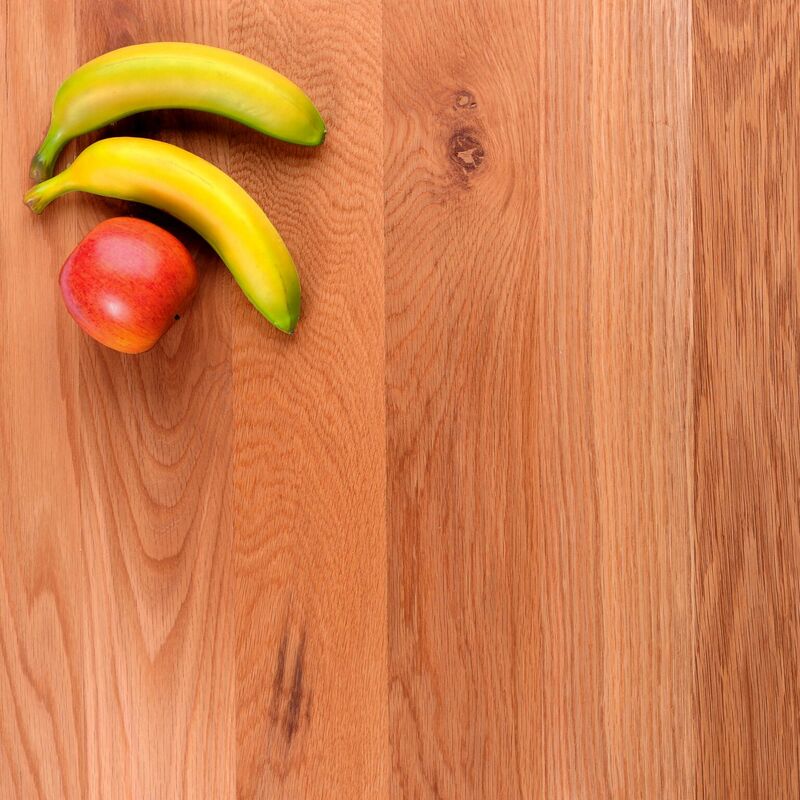 These iroko worktops are an ideal kitchen worksurface, as they are both naturally hygienic (due to the naturally-high oil content), and elegant in colour. Each square-edged surface is made from many 40mm iroko staves that are mostly a golden yellow to start with, and will mature into a deeper bronze hue over time. The staves are finger-jointed under high pressure and glued then sanded to create a very smooth surface. 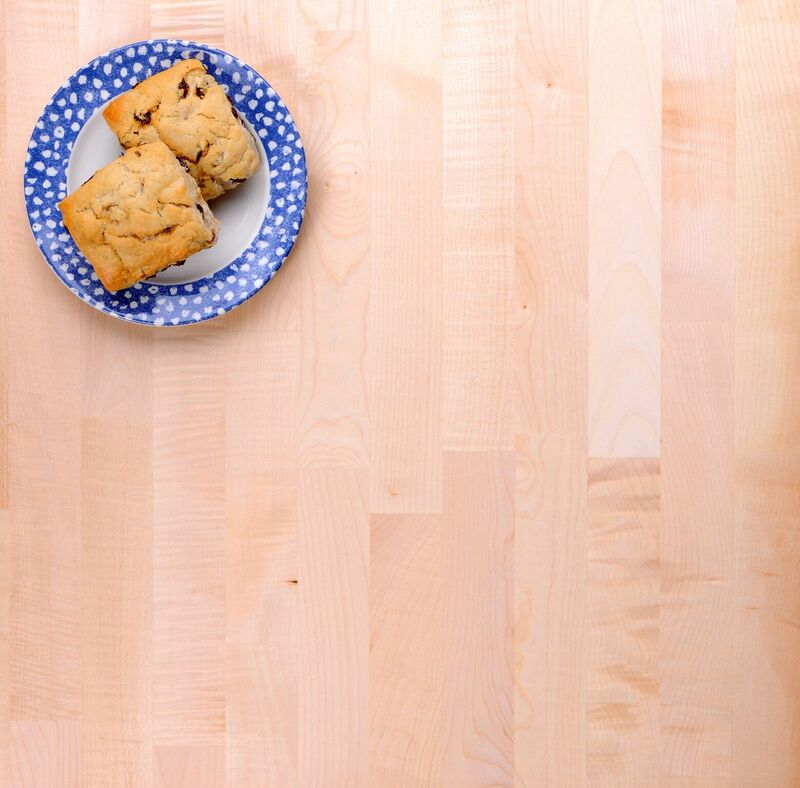 Maple worktops are light in colour and are ideal for reflecting plenty of natural light around a kitchen. In this full stave option, a number of 90mm wide planks run the full length of the worktop to show off much of the timber’s innate qualities. These full stave maple worktops are provided with square edges and sanded to a very smooth finish, ready for treatment. 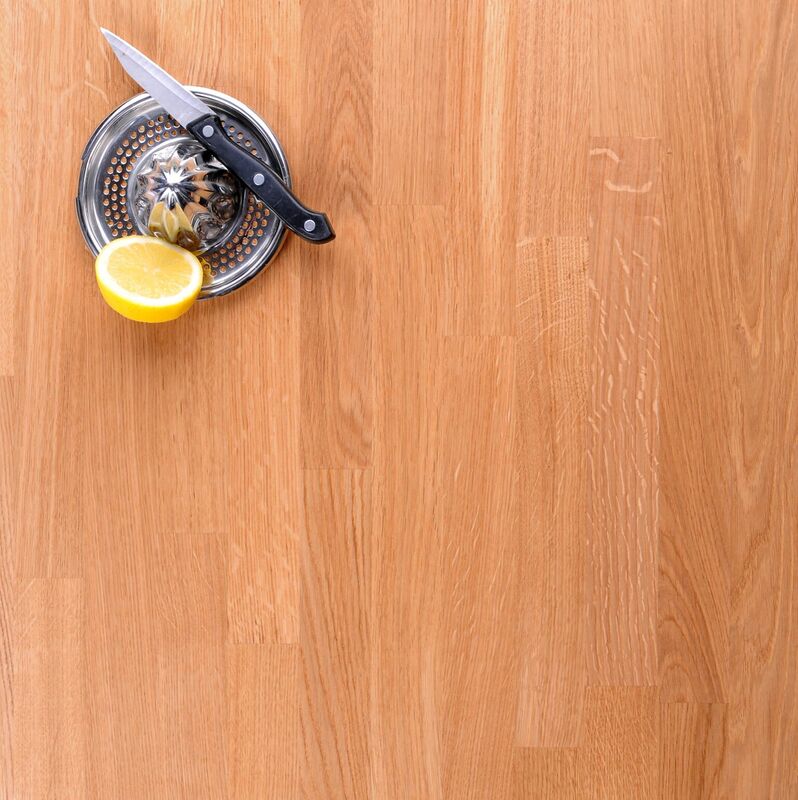 If you are looking for a worktop to brighten up your home, these maple worktops are an ideal choice. 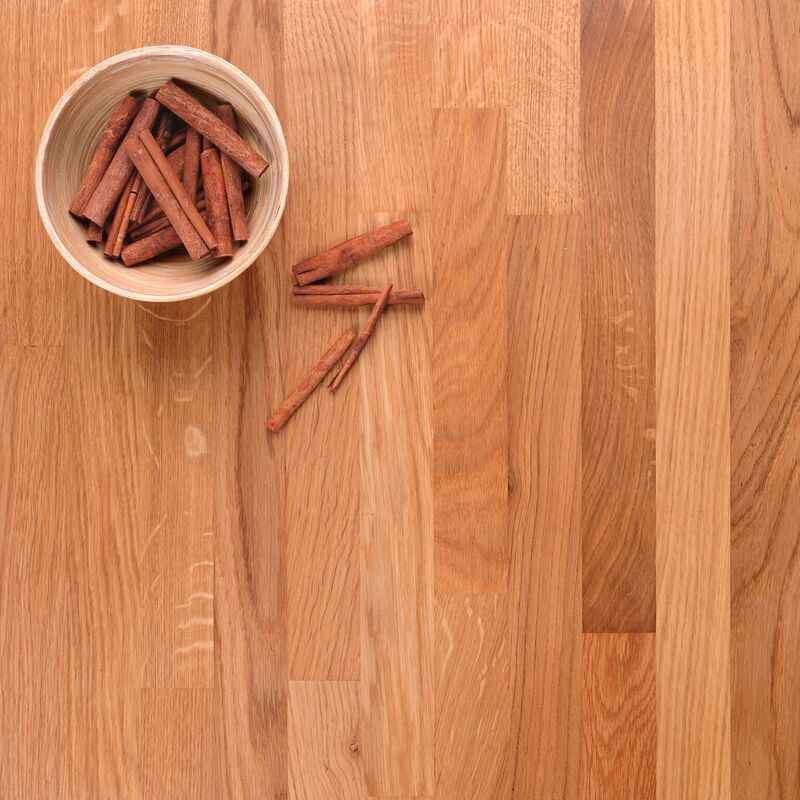 Maple timber has a soft glow and delicate grain, and has been used in kitchens for hundreds of years because they are so hard-wearing. These maple worktops are constructed from 40mm staves that are finger-jointed together to create a square-edged worktop, which is then sanded to a very smooth finish. Prime Oak worktops feature staves chosen for their consistent colour and lack of natural imperfections. The staves that makes up these full stave Prime Oak worktops are still carefully selected, but are 90mm wide and run the full length of the surface. Each worktop is supplied with square edges and has been sanded to a very smooth finish. If you are looking for a solid oak surface to suit a contemporary interior, these Prime Oak worktops are a perfect choice. Each finger-jointed 40mm stave that makes up the square-edged worktop is chosen for colour and grain consistency to create an even and elegant surface, which is then sanded to an incredibly smooth finish. Whilst the standard range of oak worktops may be the most popular, it is their full stave variants that are the most stunning. These full stave oak worktops are made from 90mm wide oak planks that run the full length of the worktop, showing off the timber’s natural beauty in an unrivalled form. Each worktop is supplied with square edges and is sanded to a very smooth finish, ready for treatment. Oak worktops are a very popular choice, thanks to their hard-wearing characteristics and their diverse suitability in a range of modern and traditional settings. Each square-edged oak worktop is made from a number of 40mm European oak staves, which are finger jointed into a seamless wooden worksurface, then sanded to a very smooth finish. These full stave black American walnut worktops are without doubt one of the most luxurious choices for a kitchen. The extra-wide staves run the entire length of the worktop, showing off as much of the deep colour and elegant grain as is possible. The worktops are provided with square edges and come pre-sanded to a very smooth finish, ready for treatment with Danish oil. 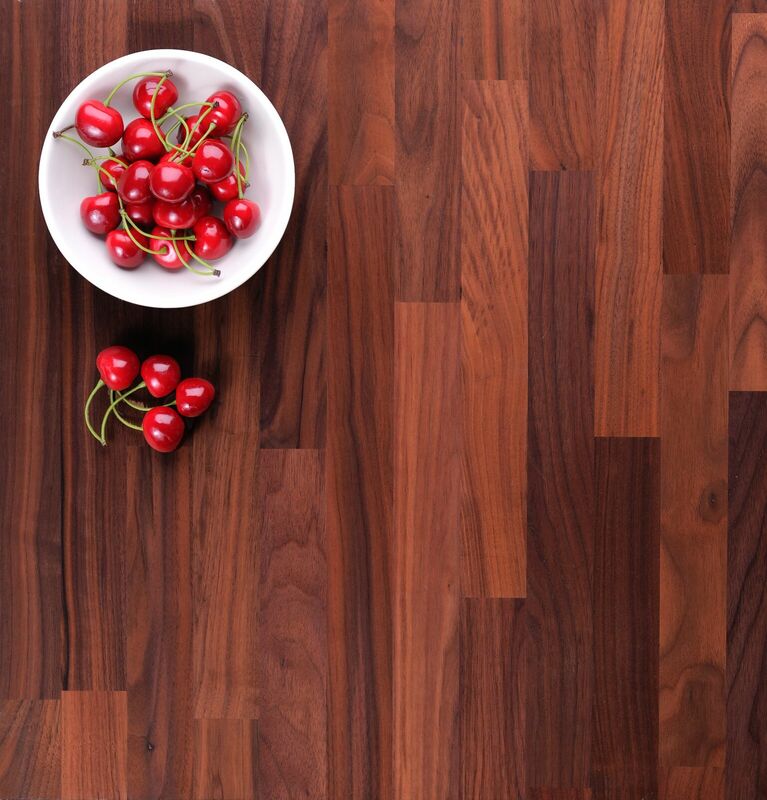 There are few more luxurious choices for a kitchen worktop than this black American walnut. 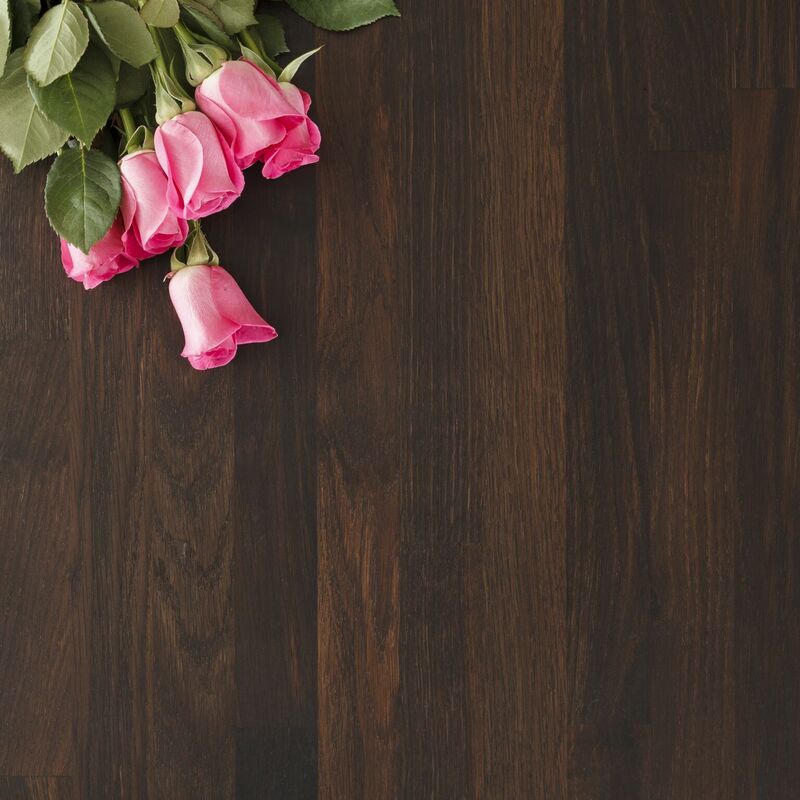 With an elegant grain and dark, lavish colour, these silky-smooth hardwood surfaces are an ideal choice for any home environment. Each countertop is made from many 40mm wide staves that are finger-jointed under high pressure, after which the square-edged worktop is sanded to a smooth finish. Solid walnut surfaces are amazingly rich in colour, smooth and very hard-wearing. A varied mix of curly and straight grain combined with the timber’s combination of light sapwood and dark heartwood makes walnut a distinguished wooden surface choice. These square-edged surfaces aremade from a variety of 40mm staves that are finger jointed, glued, and then sanded to a silky-smooth finish. Wenge is an incredibly luxurious timber, and in the form of these full stave worktops creates a stunning dark surface that shows off the timber’s natural appeal. A number of 90mm wide staves stretch the entire length of the worktop, which is finished with square edges and then sanded to a smooth finish, ready for treatment. 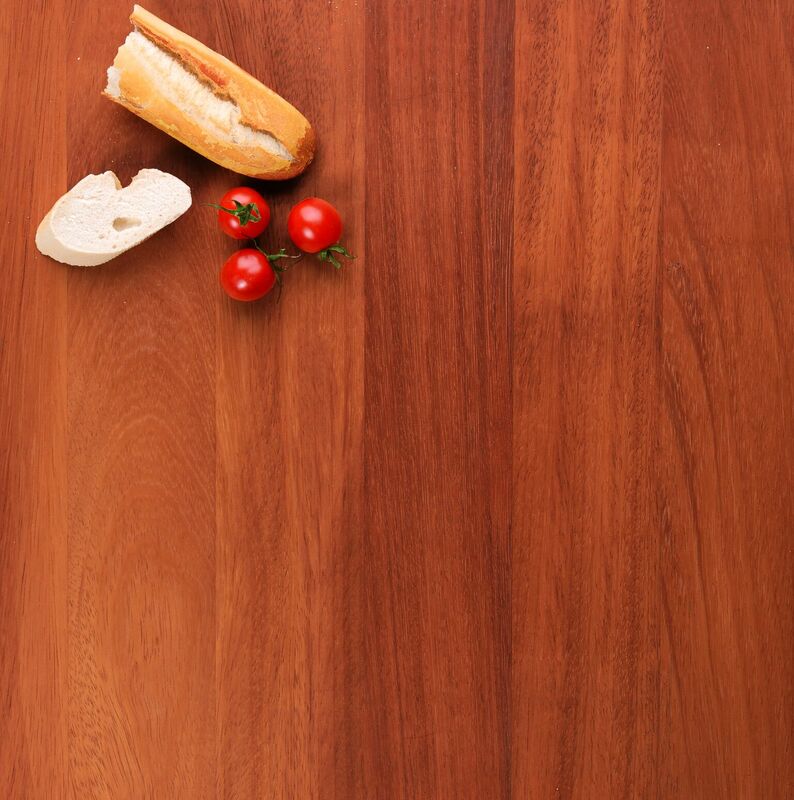 Wenge is a very dense African hardwood that makes this the darkest solid wood worktop available. The incredible resilience and unmistakable dark brown grain make it a very distinguished timber that is especially suited to high-contrast contemporary kitchens. Each wenge worktop is made using a number of 40mm staves that are finger-jointed to create a square-edged worktop, which is then sanded to a fine finish. These full stave zebrano worktops feature 90mm wide staves that run the entire length of the worktop. Thanks to the size of the staves, this hard-wearing option shows off even more of the golden timber’s unique dark brown grain, making it an incredible choice for a modern home. Each full stave zebrano surface is cut with square edges and sanded to a very fine finish, ready for treatment with Danish Oil or an alternative of your choice. 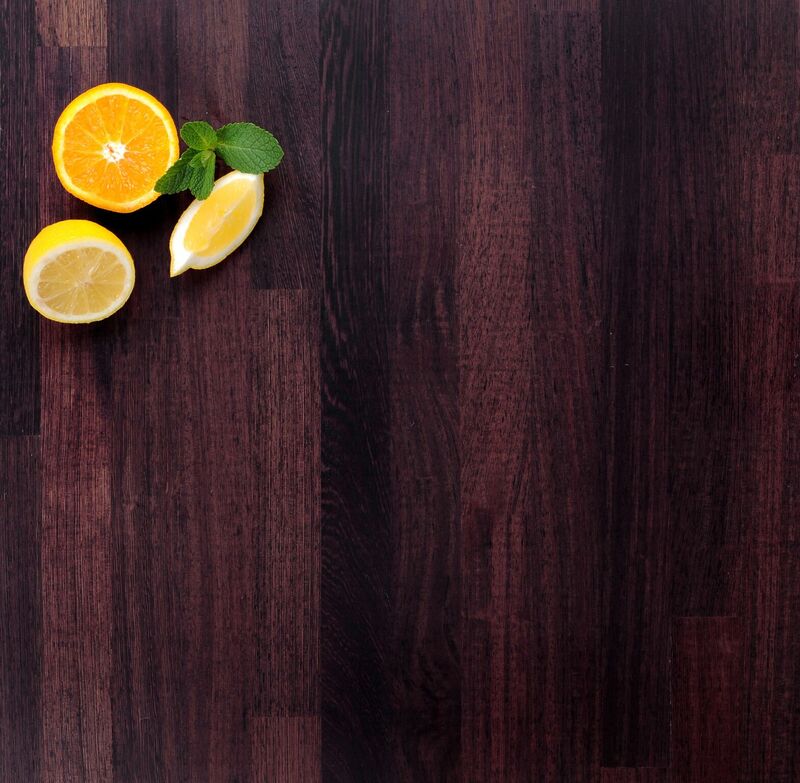 An unmistakable choice, these Zebrano worktops are as hard-wearing as they are striking. 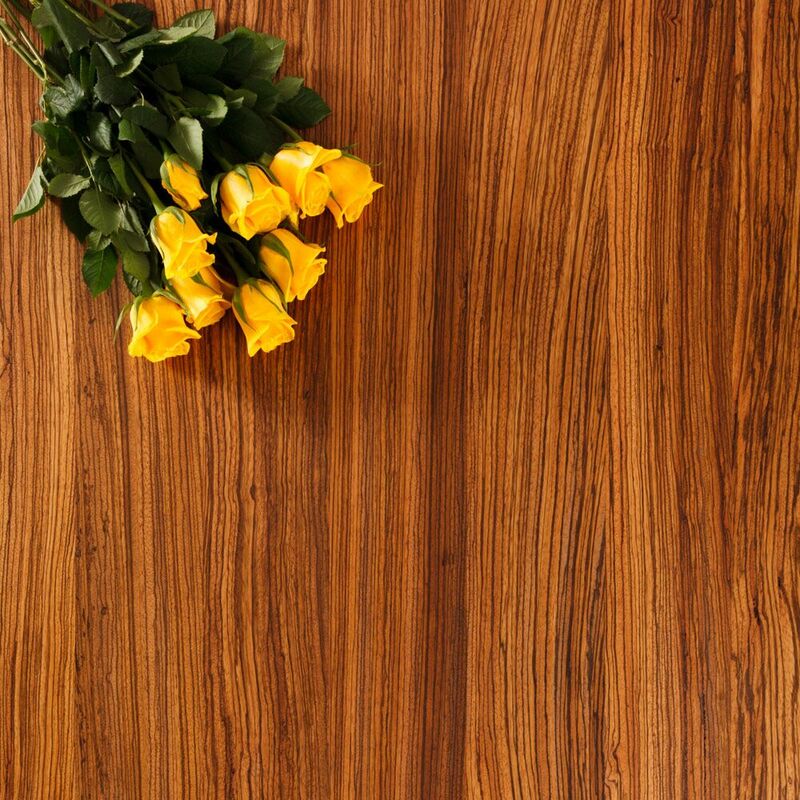 The golden timber has thick grain markings that are deep brown in colour, which is why it is often referred to as Zebrawood. A number of 40mm zebrano staves are finger-jointed together under high pressure with a small amount of glue, to create an expansive surface that is then sanded to a very smooth finish.